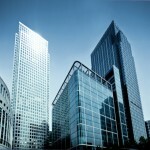 DeLauter has been the premier choice for developers large and small in the commercial market. DeLauter’s expertise is well utilized in many markets. DeLauter works hard to ensure that their client’s expectations are met. Partnering with DeLauter takes the uncertainty out of your construction budget and schedule allowing you to focus on your business. We specialize in all aspects of commercial building including: new construction, renovation, tenant build-out and building repositioning. We are a leader in innovative building – both from how you purchase your construction to the building process itself. the highest value for our institutional clients.